BLTN? What could that possibly stand for? Bacon, lettuce, tomato, Nutella? Hmm. That might not be a bad combination for a future sandwich. Ahem! Anyway, BLTN stands for Better Late Than Never, my series of reviews on games from the past few years that I just played which I am now reviewing. 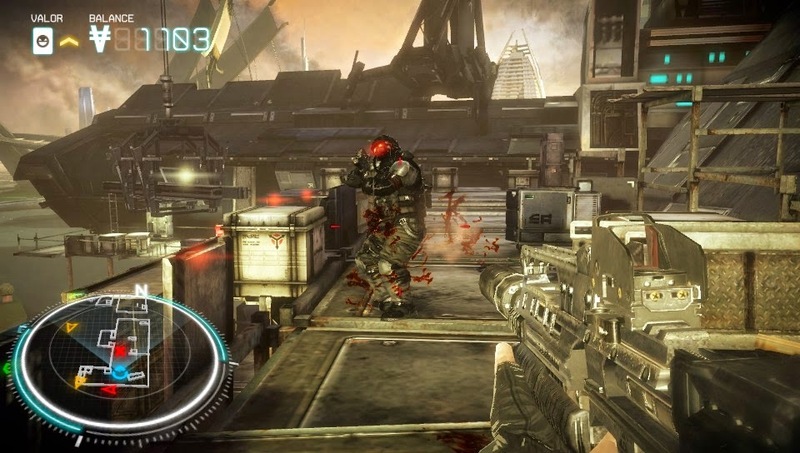 The next game in this feature of reviews is Killzone: Mercenary. As someone who isn't a huge fan of the Killzone franchise, did I manage to find some enjoyment out of this PlayStation Vita installment? There seemed to be two camps in the PlayStation fan base with regard to FPS games. One camp enjoyed Insomniac's Resistance series, while others were enamored with the world and mechanics of Guerrilla Games' Killzone series. The difference between the two franchises is that one received a lot more hype and a bigger marketing push than the other. That franchise in question just so happened to be the one that stuck around, Killzone. I've played most of the titles in the series, but they just didn't do much for me overall. The standard mechanics were there-- shooting, sprinting, headshot-obtaining, etc., but something just didn't keep me playing for very long. 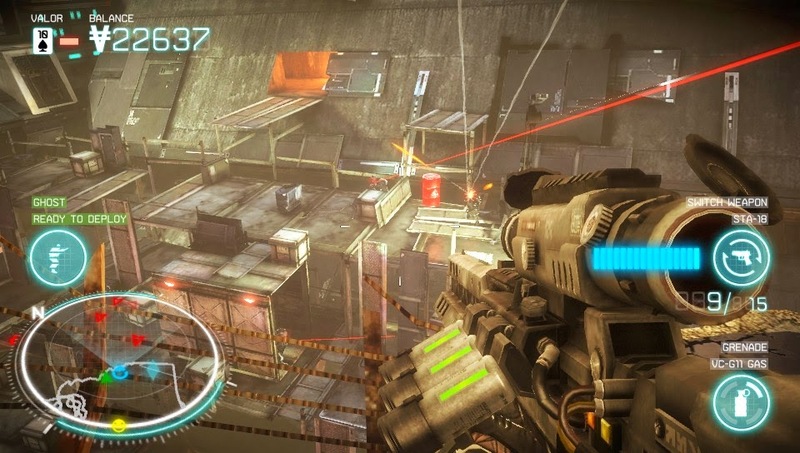 Killzone: Mercenary, on the other hand, is a rare gem in the franchise. It's a game that I not only picked up and found myself greatly enjoying, but it's one that I played long after the credits rolled. It's the next in a line of Vita first-person shooters that tries to do the genre justice on Sony's handheld, and it definitely does that and then some. Yes... Come to your death, Helghast scum! Killzone: Mercenary has you playing as Arran Danner, a mercenary for hire (fancy that) who is hired by the ISA to help fight against the Helghan threat. 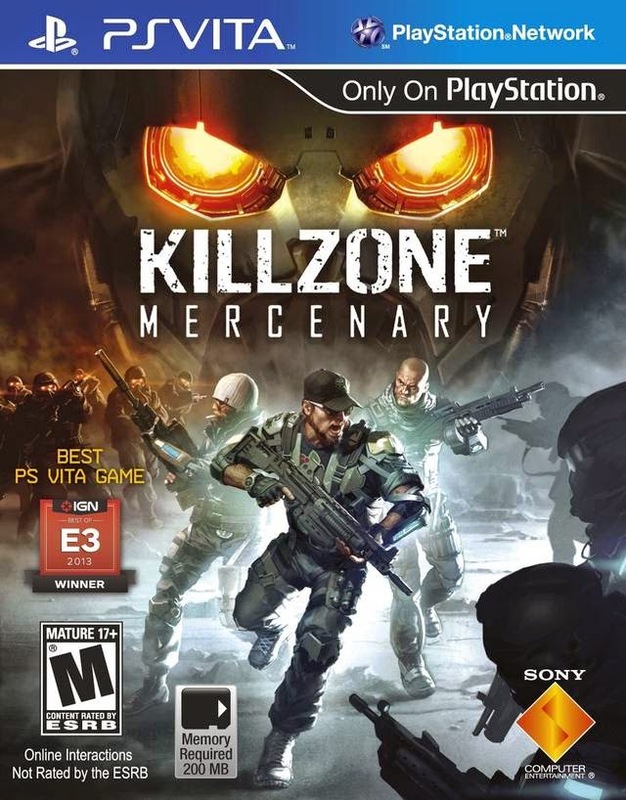 For fans of the franchise, Killzone: Mercenary is essentially a best-of collection of familiar locations and events in the Killzone trilogy. Being a gun-for-hire, Danner eventually plays both sides of the conflict based off of in-game happenings of the overall plot, and whichever side has the moral high ground, coincidentally enough. Regardless, Mercenary's story is the weakest piece of the equation, and it served for me merely as a means to an end to get to all the running and gunning the game possesses in its nine missions. I think I'll take a covert approach this time around. All to itself, the aforementioned running and gunning would be of typical Killzone series quality, which wouldn't be so bad. However, Mercenary offers a clever means to keep players playing. Throughout each mission and multiplayer match you participate in, you're receiving money bonuses for a myriad of actions. Everything from a kill, to a headshot, to a melee kill, to an explosive kill, to getting through a section of a level without alerting the enemy, and so forth, rewards you with money. This money is used at Mercenary's arms dealer, which can be accessed in the main menu, and at various locations throughout each of the game's missions. in red with the blood of your enemies. 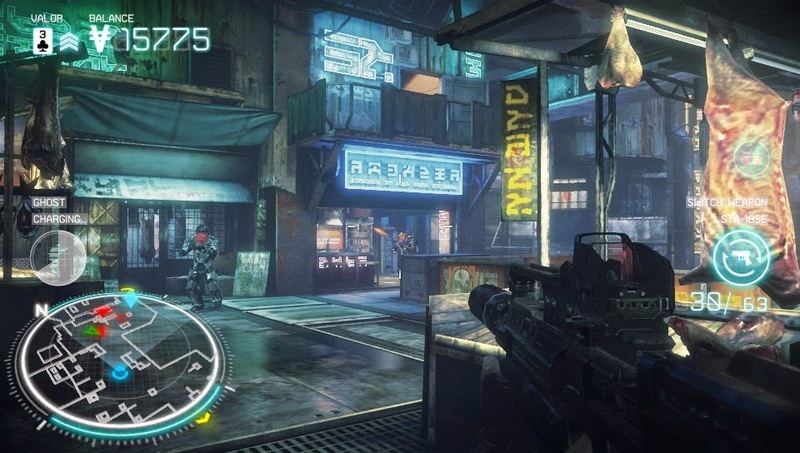 Money is then used to purchase new primary and secondary weapons, types of grenades, armor, and VAN-Guards, which are high-tech equipment that can range from a cloaking device, a robotic buddy that electrifies nearby enemies with a wave of electricity, a jammer that cuts off enemy communication, a missile launcher that locks on to enemies, and more. These goodies can be used to create customized loadouts for single player missions and multiplayer. Although there's but nine missions to complete in Killzone: Mercenary, most of them take upwards of a half-hour on one's first time through. There's also money to be earned from completing missions on various difficulties, with Veteran being the hardest-- although compared to past Killzone games, the Veteran difficulty in Mercenary is by far the easiest. to bloody up the screen to show you're injured. 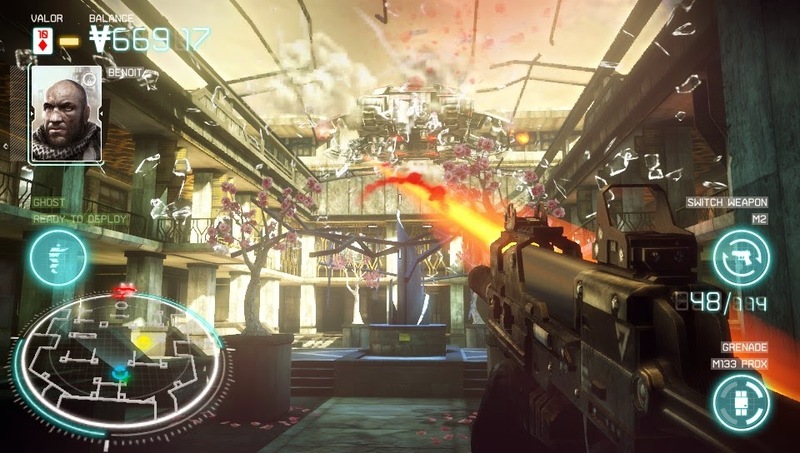 In addition to simply completing the nine missions for story and progression purposes, Killzone: Mercenary has three special contract missions for each of the nine levels. These take the form of Precision, Covert, and Demolition contracts. Not only do they add replay value and longevity to Mercenary, but they change the way you play each level. Each contract mission has different objectives that go on top of the story-related ones. These are things like getting through a section of a level undetected, killing a certain number of enemies with a specific weapon, getting a number of melee kills, beating a mission under a specified time limit, destroying a number of a certain object, rescuing hostages, and so forth. It makes it so you need to do more than just run and gun. You grow to learn the levels and the best paths through them and which strategies work best. is to destroy this armored dropship. 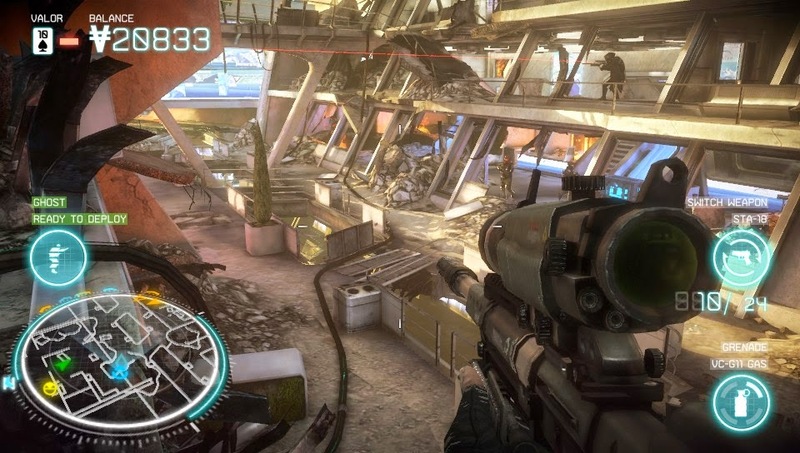 Outside of the exhaustive solo campaign, Killzone: Mercenary offers a massive multiplayer component, delivering intense shootouts between players online. There's three main modes to multiplayer, such as your standard every-player-for-themselves deathmatch and team deathmatch, and nine multiplayer maps. You can customize several loadouts, so you can equip the right series of weapons and the like for the right situation. You can even change loadouts after each death for if the one you're currently using isn't working for you at that particular moment. As of the time of this review, over a year since the game originally launched in North America, Mercenary still has short waiting times to participate in online firefights. It's easy to find matches with players. There's even downloadable content to add bots for offline play only. I enjoyed the game's multiplayer so much that I decided to purchase said DLC, though it would have been preferred to have been a part of the original game. 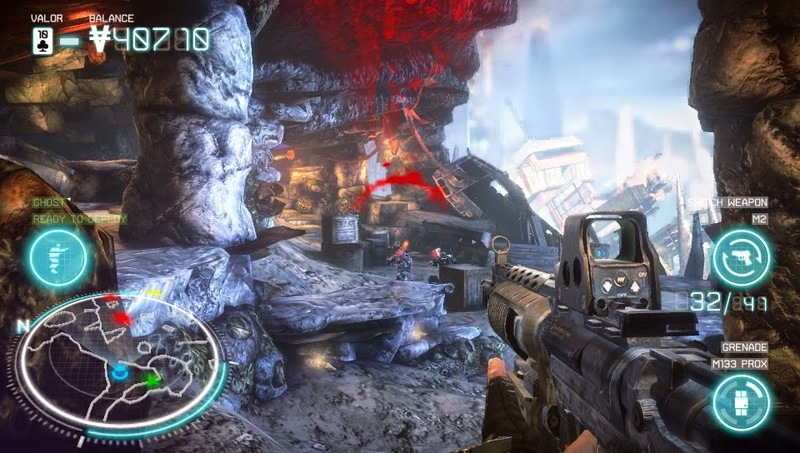 Being another attempt at putting a first-person shooter on a handheld, Killzone: Mercenary is without question the king. Sure, the competition, especially on Vita, where its opponents were a weak Call of Duty and a weaker Resistance spin-off, wasn't too challenging, but Mercenary impresses as a shooter in general. 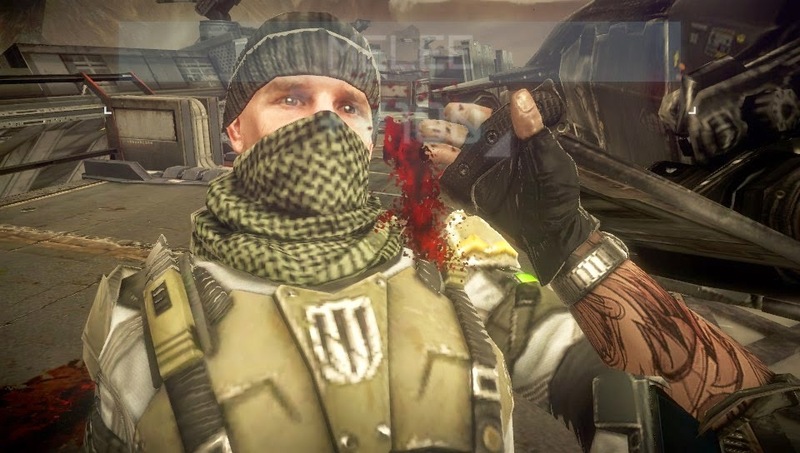 Some might find the forced touch screen implementation for melee kills (swiping in a certain direction), sniper rifle zooming, and a hacking mini-game, which is a regular occurrence in the game's missions, to be pure gimmickry, but it doesn't overly deter from Mercenary's overall quality. This should clear up that ear infection of yours. Killzone: Mercenary is an absolutely breathtaking game to view. The various vistas and locales in the game seldom manage to disappoint, and the special effects such as lighting and explosions do nothing but amaze. Unfortunately, Mercenary doesn't run perfectly, sometimes dipping heavily in frame-rate when the action gets too intense. Furthermore, starting each mission results in a significant loading period as the mission briefing plays out. You can't skip this until at least 30-60 seconds into the briefing. This makes it that repeated play-throughs of missions becomes quite tedious. "I just want to shoot things, darn it! Shut up already, generic war guy!" Beat these snipers at their own game! For those fans of first-person shooters, you haven't had a lot of great genre experiences on a portable device. Well, friends, now you have Killzone: Mercenary, the cream of the bang-bang, shoot-shoot crop. As someone with a passing interest in the genre due to the seemingly millions of shooters hyped to hell and released each year, I found myself absolutely loving Mercenary, and even wanting to attempt the time-consuming process of obtaining the Platinum trophy. 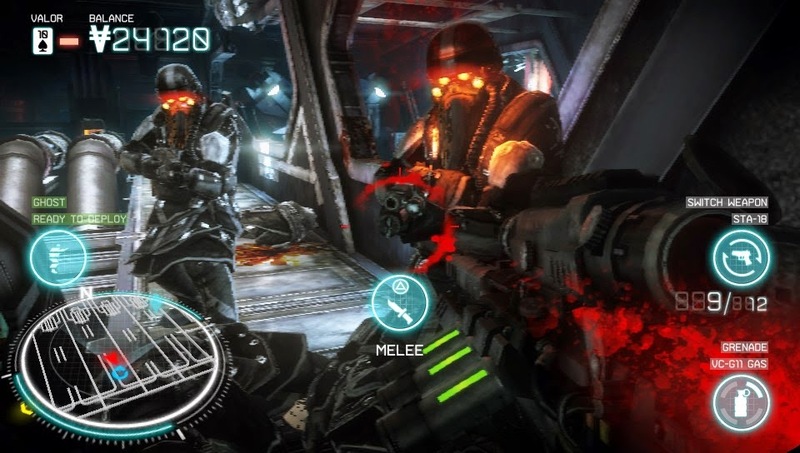 The game isn't perfect with its long loading times at the beginning of solo missions and multiplayer matches and weak story, but overall, Killzone: Mercenary mission to bring great fun and great FPS gameplay to the PlayStation Vita was a success.